Department Dialogue: What Does Linguistics Mean to You? 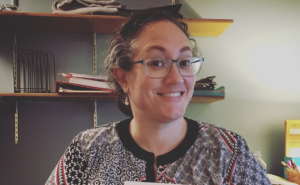 In our latest post, English intern Tyler Fields interviews Assistant Professor Mai Kuha about her work as a linguist, her participation in Ball State’s Council on the Environment, and her future plans and publications. Additionally, Mai discusses her recent work in the fields of socio- and ecolinguistics. Continue reading below to see Mai’s interview.